Apple’s latest iOS 12 update isn’t even technically out yet, but users who are beta testing it are already raving about its performance improvements. The Cupertino tech giant announced the next-generation software update at its WWDC ’18 keynote earlier this week. And during the event, Apple Senior Vice President Craig Federighi said that Apple was “doubling-down” on performance in iOS 12. And now, that supposed performance boost is being corroborated by people testing early versions of the software. 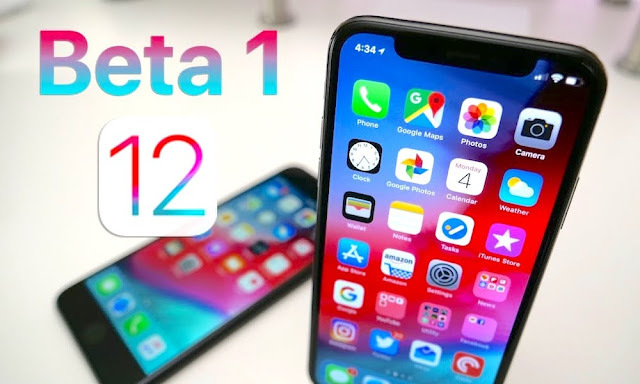 Users who are testing the first developer beta of iOS 12 report vastly improved speed, performance and general snappiness. Just search Reddit, Twitter or any other number of social media sites or Apple-related forum. “It’s super fast for me so far, haven’t hit a single bug yet,” one Reddit user wrote. Another beta tester described iOS 12 as “blazing fast” on an iPhone 7 Plus. Numerous YouTube and media outlets have also tested iOS 12 — and have proven that it achieves a thorough boost to speed and snappiness across a range of devices. Also, keep in mind that these reports are coming from users who are testing the first beta of iOS 12. It’s not even a finalized version of the software yet. This is great for iPhone owners, but it’s also amazing news for iPad users. Especially since people don’t buy new iPads as often as they do smartphones. Earlier this year, Bloomberg reported that Apple was foregoing several features in iOS 12 to focus on performance and reliability. That was completely accurate, it turns out. And it may have paid off for the tech giant. And a key part of the iOS 12 strategy seems to be bumping up performance on older devices. iOS 12 is supported on any device that could run iOS 11 (Federighi noted that it’s the largest user base for an iOS release thus far). That flies in the face of “planned obsolescence” theories — and it shows that Apple is listening to its users’ critiques and criticisms. This all bodes well for Apple in the post-Batterygate environment. And it shows that the company is trying its hardest to win back that consumer trust. We don’t usually recommend downloading beta software on your primary device, even though iOS 12 seems to be a much cleaner and bug-free update than previous versions of iOS. The first iOS 12 developer beta is currently available, and will launch for public beta testers later this month. iOS 12 will finally be available to everyone else as a free over-the-air update in the fall.